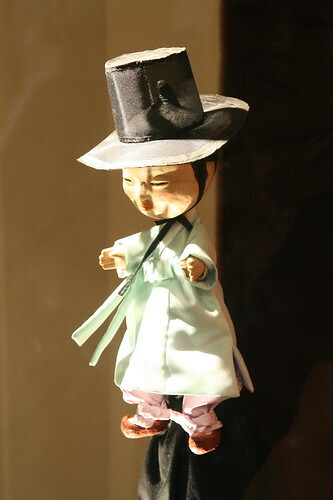 Small Hanbok clad hand puppet. 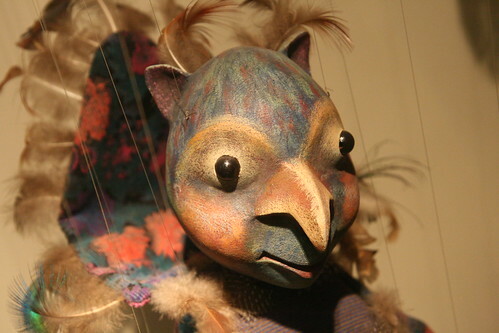 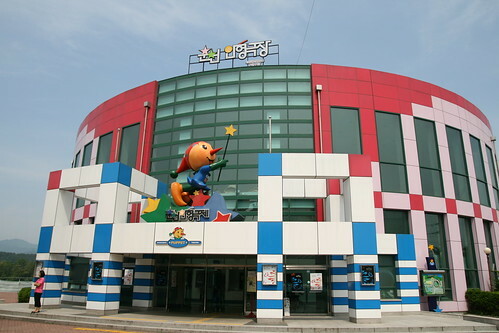 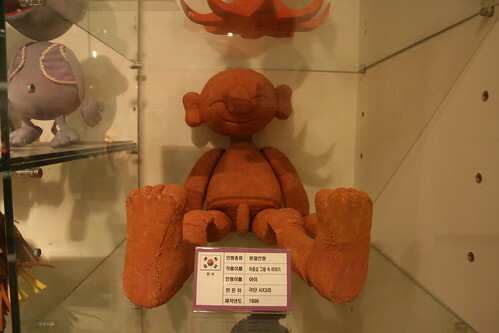 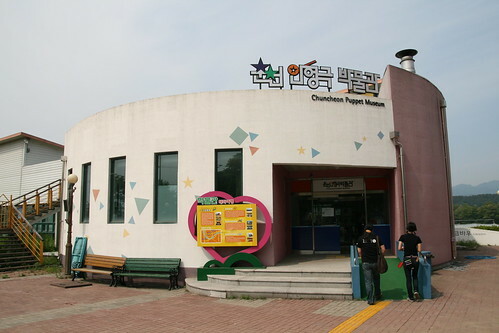 Sadari Theatre Company puppet based on drawings by famous artist 이중섭 (Lee Jung-sop). 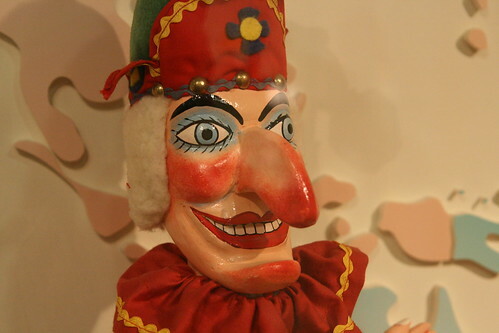 Standing up for the puppets of Britain a rather dapper Mr. Punch made by Professor Bryan Clarke. 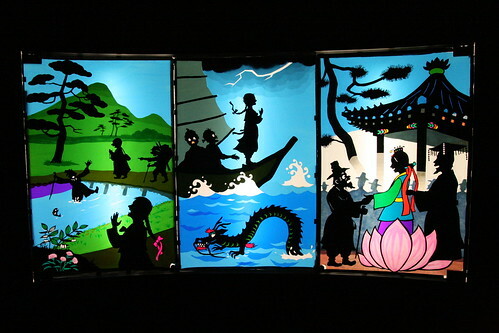 Beautiful three panel rendition of the story of Shim-cheong. 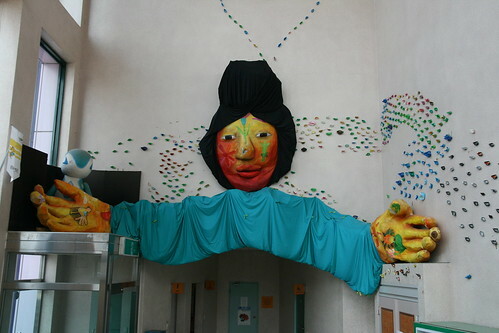 And a giant puppet guarding the entrance to the theatre toilets.